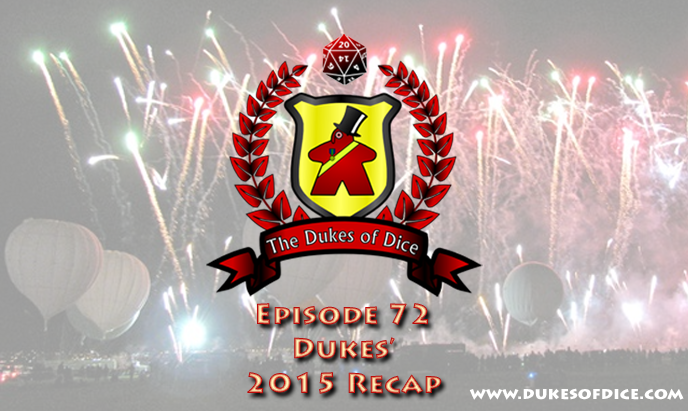 ... Look back at their Top 10 for 2014 for their Dukes' Double-Take (1:26:32). 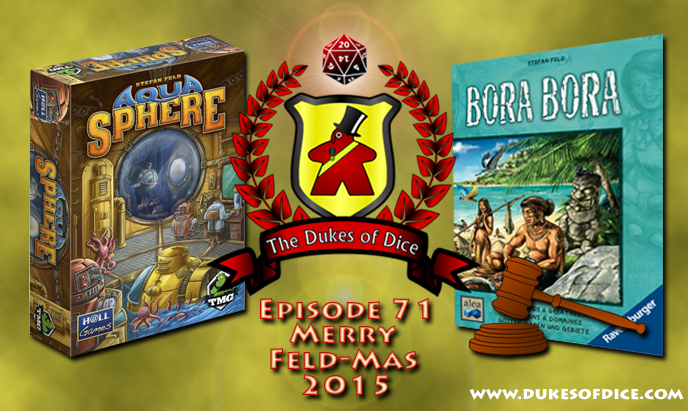 ... Return to the long-awaited Game Court segment, putting Bora Bora on trial (1:13:12). 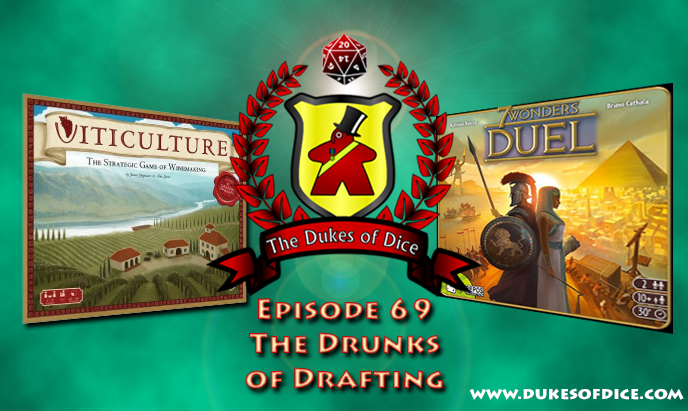 ... provide a bonus review of Crash Games's Pirate Den* (1:09:10). *Review copies generously provided by the publishers. 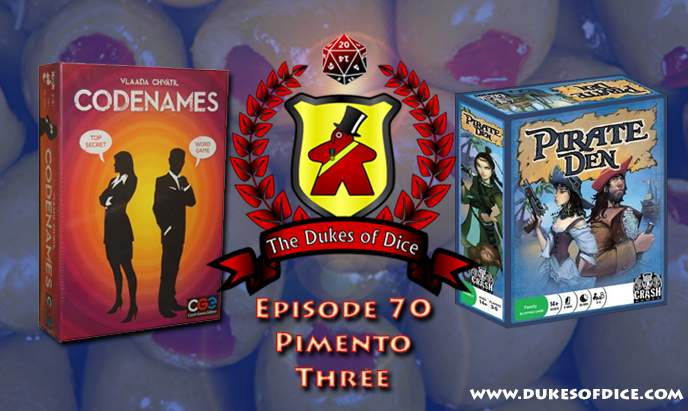 ... provide a bonus review of Repos Productions' and Asmodee's 7 Wonders: Duel (58:02).